Just think about all of the tasks a sales manager has to balance … hiring, enablement, sales coaching, closing deals, running the sales forecast, managing the pipeline, supporting HQ information requests, and conducting the quarterly business reviews … and that’s when she is not traveling. Sales managers are encouraged to invest time in coaching to improve the team, or rely on sales analytics to help determine where to focus. Even though coaching is recognized as being a true driver of sales productivity when implemented effectively, most sales managers don’t employ a consistent coaching practice in their business. 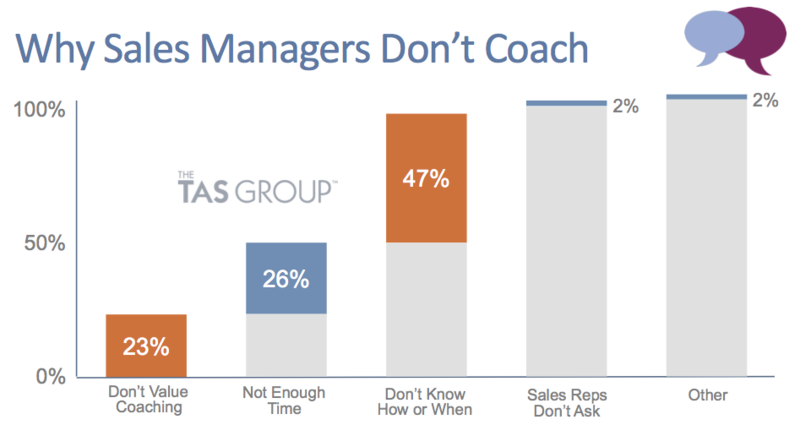 In fact 73% of sales managers spend less than 5% of their time coaching. Some don’t know how to coach, others don’t see the value and in many cases sales managers cite ‘Not enough time’ as a key reason for not engaging in this proven best practice. We think that in fact the real reason is that sales managers do not have the requisite knowledge that equips them to coach effectively and often can’t easily assess what opportunities or sellers would benefit from a coaching intervention. The math explains this better. Let’s assume that the sales manager has eight people on her team, each working six material opportunities, and a ninety-day sales cycle. That’s 48 opportunities in her universe at any one time. Even if she tries to coach just half of these opportunities effectively each month, spending two hours per opportunity, she runs out of time pretty quickly. How is she to know where to focus? There has to be a way to triage both the opportunities and the sellers so that her time is applied where it has most impact. What matters gets lost in the volume of data or information to assimilate. We know from studies by IBM and MIT that sales organizations are 10X more likely to be High Performers if they use analytics well. The problem however is that 55% of all analytics projects fail. Failure usually occurs because the scope of the project is too wide, there is little or no connection to business outcomes in the design of the project, and there is a deficit of business domain expertise in interpreting the analysis, linking correlations to causation and gaining actionable prescriptive insights. What matters get lost in the metrics. Situational Analytics – typically represented by reports or visualizations, this tells you what happened in the past. We think there is a critical missing component, and that is Descriptive Analytics, the determination of which parts of the data actually matter. What are the big questions? What data enrichment is needed before the data can be a reliable source for prediction, and ultimately prescription. 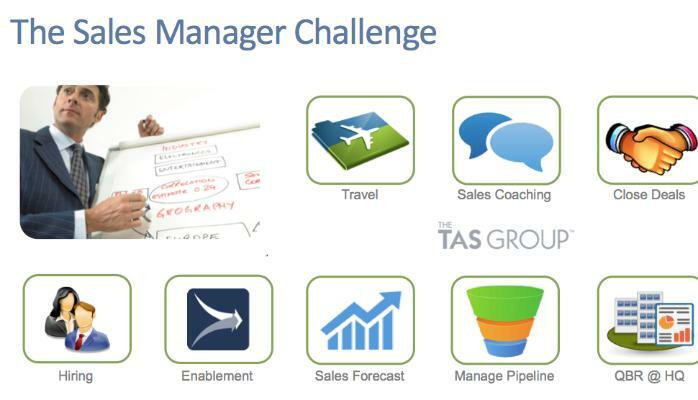 We think the solution for the sales manager is in fact a combination of coaching and analytics, not in the classic sense of predictive analytics where big data can get in the way, but rather in metrics driven coaching, leading with the big questions for sales managers as opposed to the big data, establishing what you need to know to determine leading indicators of sales performance risk, at different levels of granularity for sales teams, individual sellers, accounts and individual opportunities. Where are there vulnerabilities in my forecast? Which deals are at risk? Is my pipeline truly a reflection of future business? Think of it like this. Every sales interaction and every exchange between manager and seller should have a map to follow. The destination must be clear and there should be effective signposts along the way that can quickly identify if you are going off track. What are my Must Win deals? Are there opportunities in my pipeline that are inactive or stalled? What happened to the deals John forecasted last month? Are we losing deals late in the sales cycle? What is the difference between our performance for qualified opportunities (deals that get to stage two or three in the funnel) and all opportunities. Once you have figured out the big questions and the signposts that point to the answer then you can easily apply some smart automation to identify the entities on which you should focus.